On Tuesday, Feb. 5, the State Senate Game and Fisheries Committee approved Senate Bill 147, legislation which would give the Pennsylvania Board of Game Commissioners the authority to regulate hunting on Sundays. 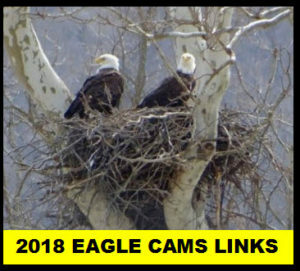 The Pennsylvania Game Commission supports this legislation that would give the agency the authority to determine for which species Sunday hunting should be lawful. The legislation approved must pass the full Senate, the House of Representatives, and be signed by the Governor before it could become law. The current prohibition on Sunday hunting is in state law, and the Game Commission does not have the authority to change it without legislative action. Please contact your local state representative and/or state senator on this topic. Hunting hours during the April 20 youth hunt, and from April 27 to May 11 of the statewide season begin one-half hour before sunrise and end at noon. Hunters are asked to be out of the woods by 1 p.m. during those periods. From May 13 to May 31, hunting hours begin one-half hour before sunrise and end one-half hour after sunset. HARRISBURG, PA – Pennsylvania hunters posted their highest overall deer harvest in 14 years when they took 374,690 deer during the state’s 2018-19 hunting seasons, which closed in January, the Pennsylvania Game Commission reported today. The 2018-19 deer harvest topped the previous year’s harvest of 367,159 by about 2 percent. The last time the total deer harvest exceeded this season’s total was in 2004-05. Although the total deer harvest was not impacted by downpours on the opening day of the firearms deer season, the buck harvest seemed to take a hit. About half of the firearms season’s overall buck harvest typically occurs on the season’s opening day, when hunter participation is usually at its highest. Steady rain in most of the state persisted through the morning if not longer of the firearms season opener, making hunting for deer, as well as staying dry and warm while afield, more difficult. And when hunter participation drops on the best harvest day of any season, the harvest typically does, too. Across the 23 WMUs used by the Game Commission to manage whitetails, the antlerless deer harvest decreased in only five units: WMUs 1A, 2B, 2H, 4B and 5D. The largest harvest increases – 48 percent – occurred in WMUs 2C and 3A. On the antlered deer side of WMU-level harvests, the buck harvest dropped in all but six units: WMUs 2B, 2H, 3D, 4A, 5A and 5B. The largest declines were in WMU 2G, 23 percent; and WMU 4D, 22 percent. Bowhunters accounted for about a third of Pennsylvania’s 2018-19 overall deer harvest, taking 110,719 deer (54,350 bucks and 56,369 antlerless deer) with either bows or crossbows. But the buck harvest also was down in the 2018-19 archery seasons, by 13 percent. The previous license year, bowhunters took 62,830 bucks. Unseasonably warm weather and rain impacted many fall bowhunting days in 2018. For additional information on Pennsylvania’s 2018-19 deer harvest, please go to the agency’s website – www.pgc.pa.gov – and go to the “White-Tailed Deer” page, then select 2018-19 Deer Harvest Estimates. Nearly 100 lucky participants in Pennsylvania’s 2018 elk hunt have taken home a trophy. Ninety-nine elk were taken by 125 hunters during the regular one-week elk season that ended Nov. 10. And for those licensed to hunt antlered elk, also known as bulls, the success rate was 96 percent, with 25 of 26 tags filled. The 2018 harvest included some large elk. Thirteen bulls each were estimated to weigh 700 pounds or more, with two of them going more than 800 pounds. The heaviest bull taken in this year’s hunt was estimated at 894 pounds. That bull, which sported an 7-by-8-point rack, was taken in Gibson Township, Cameron County by Richard L. Reicherter I, of Wynnewood, Pa. Meanwhile, an 806-pounder with a 10-by-7 rack was taken in Goshen Township, Clearfield County by Mark D. Copp, of Wellsboro. Official measurements of bull racks taken in the hunt cannot be recorded until the antlers have air dried for at least 60 days after the animal was harvested. There also were some large antlerless elk taken in the harvest. Eight of the 74 cows taken by hunters during the one-week season weighed over 500 pounds. Thirty-nine elk – nine bulls and 30 cows – were taken on the opening day of the elk season Nov. 5. “Overall, the 2018 elk season was fairly typical with a slightly lower success rate for antlerless elk hunters,” said Jeremy Banfield, Game Commission elk biologist. One difference from previous years was the distribution of elk harvests across all the hunt zones, Banfield noted. “Normally we’d like at least a 50 percent success rate in each zone, where this year several zones had 100 percent success, while others reached only 20 to 40 percent success. Successful hunters within 24 hours of harvest are required to bring their elk to a check station, where tissue samples are collected to test for chronic wasting disease, brucellosis, and tuberculosis. To date none of these diseases have been detected in Pennsylvania elk. To participate in the elk hunt, hunters must submit an application, then must be selected through a random drawing and purchase a license. The drawing annually attracts more than 30,000 applicants. While it might be winter, landowners can begin making plans to help wildlife this spring – and beyond – by planting tree and shrub seedlings offered by the Pennsylvania Game Commission’s Howard Nursery. The 2019 seedling order form is available online, and sales are set to begin Jan. 7 at 7 a.m. The Howard Nursery grows tree and shrub seedlings for state game lands, participating Hunter Access cooperators, the Seedlings for Schools program and the Game Commission’s conservation partners. Any remaining surplus is available to Pennsylvania residents for purchase for wildlife food and cover, watershed protection, soil-erosion control, and for reclamation of disturbed areas, such as surface mine sites and utility rights-of-way. The selection of seedlings changes from year to year due to available seed, seedling germination, or growing conditions. Seedlings are sold in units of 25. The 2019 order form contains a selection of shrubs and nut-bearing trees, most of which are native to Pennsylvania and collected from Pennsylvania sources. The order form also offers seedling descriptions, site preferences and benefits. Those species available are: buttonbush, graystem dogwood, Northern bayberry, ninebark, chokecherry, common elderberry, arrowwood viburnum, Washington hawthorn, black walnut, black locust, and black-gum. Many of the seedlings offered for sale can be purchased at a discounted price. Orders of 12 or more total units qualify for applicable discounted pricing. With the discount, prices are as low as $5.50 per unit. Regular price ranges from $7.50 to $9.50, depending upon the seedling species. Species that qualify for the discount are marked on the order form. Stone said those who are interested might want to call Howard Nursery at 814-355-4434. Hours of operation are Monday through Friday from 7 a.m. to 3:30 p.m.
Orders can be placed by telephone, as well. 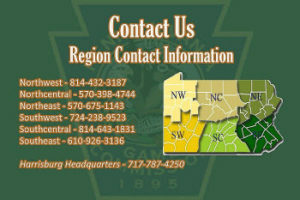 The order form and information about the seedlings for sale will be available at the Game Commission’s website, www.pgc.pa.gov. Place your cursor over “Information & Resources” in the menu bar at the top of the homepage, then click on “Make a Purchase” and select the option to order products from Howard Nursery to find the 2019 Seedling Order Form. If you have problems downloading the order form, you likely need to install the latest version of Adobe Acrobat Reader, which can be found by doing an Internet search and downloaded for free. The order form can be completed and submitted online, or printed out and faxed or mailed. Payment is not due until the order is confirmed by Howard Nursery. 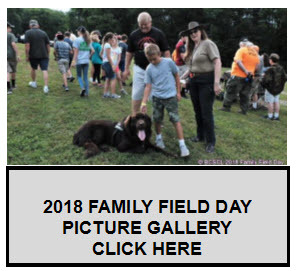 For those without Internet access, order forms can be obtained at Game Commission offices or various displays or booths at shows in which the agency participates through the spring or by sending a self-addressed, stamped envelope to: Howard Nursery, 197 Nursery Road, Howard, PA 16841. The preferred method of delivery is by United Parcel Service (UPS). Shipping and handling charges do apply. Orders are shipped only Monday through Wednesday to assure delivery for weekend planting. However, orders also may be picked up in person at the nursery once buyers are notified the order is ready. Generally, seedlings ship in the month of April. HARRISBURG, PA – The Pennsylvania Game Commission and The Conservation Fund announced today the purchase of 752 acres of forestland near Red Rock. Bordered on three sides by Ricketts Glen State Park and State Game Lands (SGL) 13 and 57, the property provides habitat for a variety of migratory birds, popular game animals, aquatic life and threatened and endangered species. The newly protected area in Sullivan County features wetlands, swamps and forested headwaters for two miles of the high-quality Mehoopany Creek, including core habitat for natural heritage areas important for preserving biologic diversity and water quality of the North Branch of the Susquehanna River and the Chesapeake Bay Watershed. The Pennsylvania Game Commission purchased the land on December 18 with transactional support from The Conservation Fund and funding from Williams in connection with the construction and operation of the company’s Atlantic Sunrise natural gas pipeline project. Now part of SGL 13, the land is open to the public for hiking, hunting, fishing and wildlife-viewing, activities that support the outdoor recreation economy of the Endless Mountains Heritage Region. Additional funding for the acquisition was provided by the Pennsylvania Game Commission. Located within the Audubon Society’s designated Loyalsock North Mountain Forest Block Continentally Important Bird Area (IBA) and among more than 109,500 acres of protected public lands, the property supports breeding habitat for 75 species of migratory birds and bats, including state listed species like the American bittern, yellow-bellied flycatcher, American woodcock, Louisiana waterthrush and the silver-haired bat. At The Conservation Fund, we make conservation work for America. By creating solutions that make environmental and economic sense, we are redefining conservation to demonstrate its essential role in our future prosperity. Top-ranked for efficiency and effectiveness, we have worked in all 50 states since 1985 to protect more than eight million acres of land, including more than 106,000 acres in Pennsylvania. 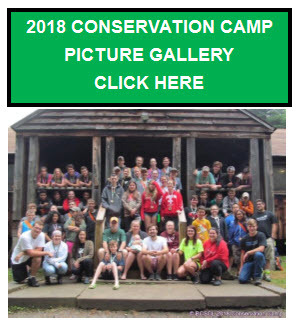 Visit conservationfund.org for additional information. Your NRA-ILA will continue to keep you updated on this important pro-hunting legislation as it progresses in the legislature.